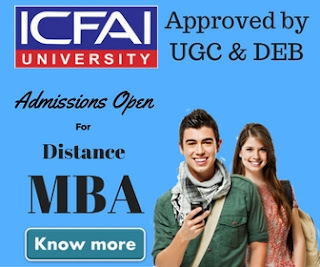 Delhi University Distance Education: In our today's article we'll talk about Delhi University Distance Education Courses & How you can get an admission in to Delhi University Distance education courses. Distance Education has become a trend, since last recent years. More and more people are engaged in getting distant education and side by side doing their jobs and earning money. Somehow these distant learning courses have also been supported by best universities of India. 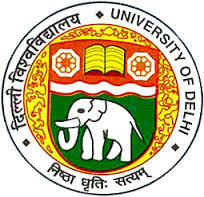 One of such university, supporting distance education is Delhi University (DU). DU is offering some wide range of courses to its students. Distant learning courses are generally taught online or at specific centres by the university. The courses offered by Delhi University in Distance Learning are mentioned below. The Unit of Distance Education (open learning) was started in 1962, in Delhi University. The main purpose of starting this distance education programme was to regulate the education at graduate and post graduate levels. The admissions are started around the Month of August every year. The ultimate benefit of this distance learning program was to students who were pursuing CA or CS. These students can pursue these courses side by side. Generally one class every Sunday of the week is provided to the students pursuing these distant learning courses from the university. The admissions for first year of undergraduate course for distant learning programme open in the month of June. The brief description for admission procedure is given below. The prospectus can be obtained from the addresses mentioned below between 9.30 am to 3.30 pm from Monday to Friday. The form attached with the prospectus must be filled by student in his own handwriting and must be submitted to given address with documents mentioned in the prospectus. In all cases the required fess should be deposited with the admission form through Bank Draft of State Bank of India. A Crossed Pay Order/ Bank Draft payable at Delhi, drawn on Sate Bank of India (any nationalized Bank for students residing outside Delhi) in favour of Executive Director, School of Open Learning, Payable at State Bank of India, Service Branch, New Delhi, along with photocopy of draft. Students must write the course name, application form number behind the draft. The admission for post graduate courses starts for distant learning programme in month of August. A Crossed Pay Order/ Bank Draft payable at Delhi, drawn on Sate Bank of India (any nationalized Bank for students residing outside Delhi) in favour of Executive Director, School of Open Learning, Payable at State Bank of India, Service Branch, New Delhi, along with photocopy of draft. 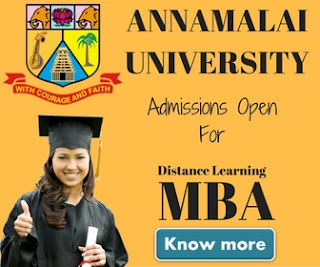 Now click to “Click for Online Registration/Admission”. If you have email id enter it and login else click to “New Registration” and then fill the details and login. Fill in the required details and then click “Next”. See the eligibility criteria for admission. Fill in the payment details. After the clearance from the desk, you are will be admitted to DU Distance learning programme.